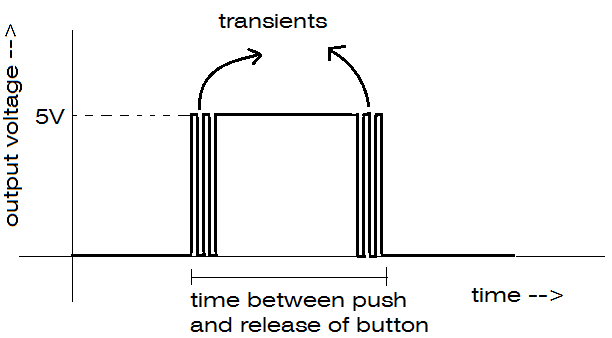 As we can see from the above figure, bouncing of signal occurs during the transient time when mechanical switches are used, due to their surface roughness. This bouncing of wave should be avoided for proper functioning of the circuit in which the switch is used. 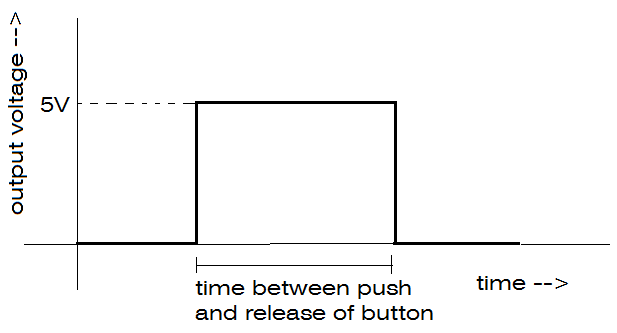 This is known as switch de-bouncing. 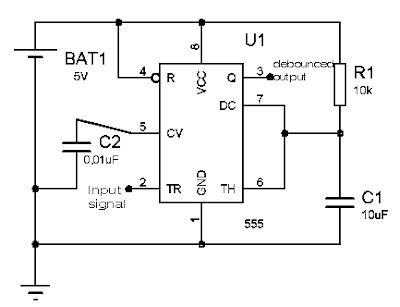 As mentioned in the previous post Monostable Multivibrator- 555 timer, a monostable multivibrator (MSMV) can be used for debouncing. We here by, use 555 timer for that purpose. 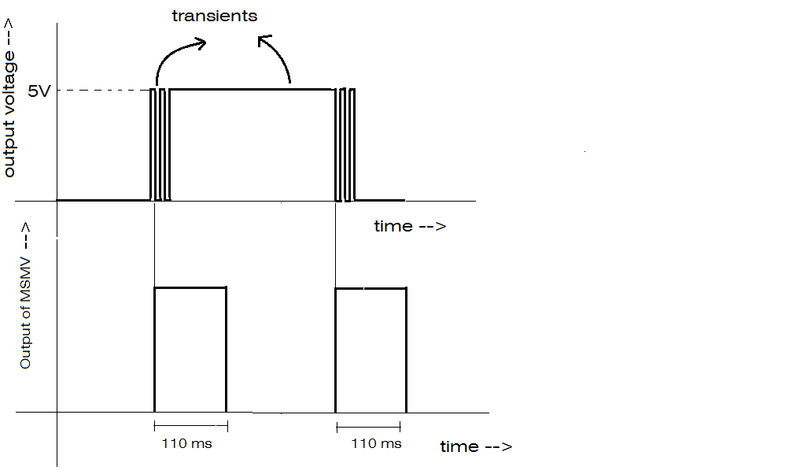 For R=10Kohm and C=10uF, we get a time delay of approximately 110ms. 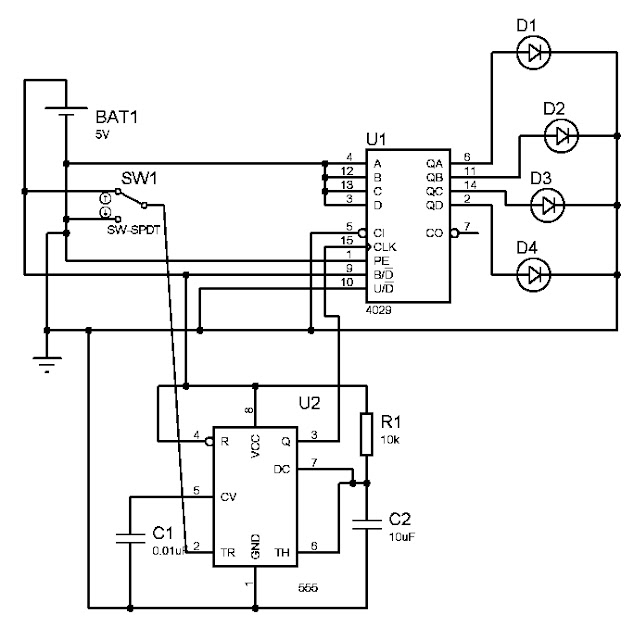 Let us now use the 555 timer in MSMV mode in the following test circuit. 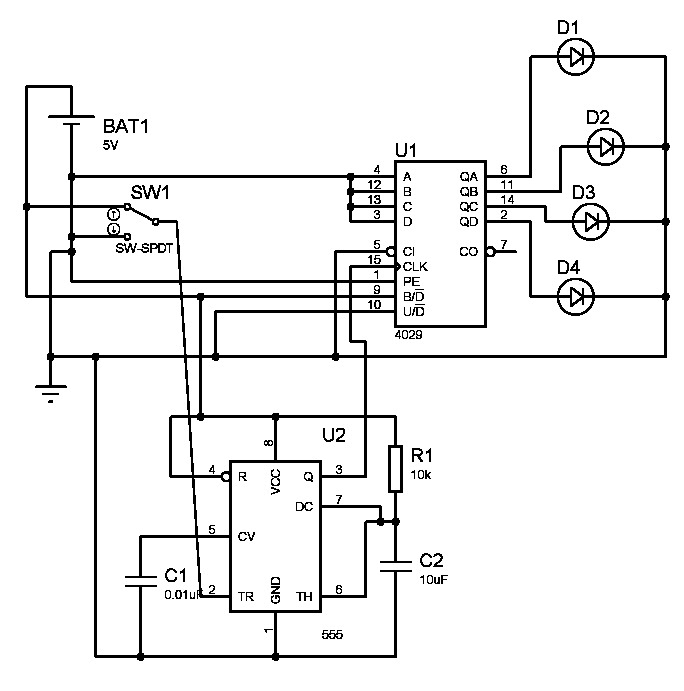 In the above circuit we use IC4029 to count the number of times the SPDT switch SW1 is pulled to ground(0V) and 5V. The number of counts is displayed in binary form using 4 LED's which count up-to 15 and then resets. 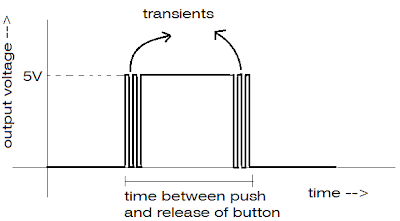 Since the switch used is a mechanical device, waveform bouncing occurs which is rectified by the 555timer in MSMV mode. The wire from the output terminal of switch is connected to the trigger(pin2) of the 555timer and the output(pin3) is connected to the clock(pin15) of the counter. 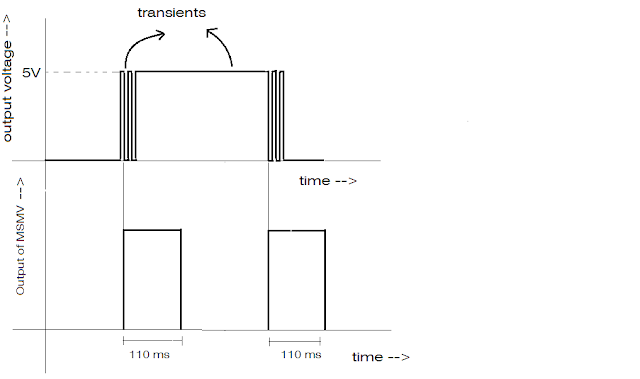 A time delay of 110ms is obtained by placing suitable timing resistor and capacitor.